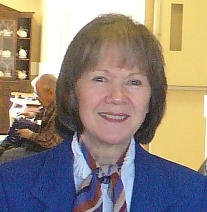 "Virtual Church for the Spiritual Unchurched"
Hi... Diane Hoffmann here, Seniors Services Consultant, on Caregiving and pre- and post-retirement issues and concerns. I want to WELCOME you all, Caregivers, Boomers and Seniors, personally to your site on Retirement and Caregiving. This is where expert knowledge meets compassionate service and respect. This site is provided to help you in the exciting pre- and post-retirement phases of your new life. Retirement is not an event -- it is a journey. Retirement planning is more than just "financial". It involves the whole person -- Body, Soul and Spirit -- encompassing financial, medical, health, social and spiritual. The site is also a respite for the Caregivers of the Elderly who need support, assistance and direction in a home or an assisted-living location. On this Boomers, Seniors, and Caregivers site you will find resources on retirement issues and needs as well as articles and a newsletter that you can subscribe to for the latest on current issues and topics. You will read about issues and topics ranging from pre- and post-Retirement, Chronic Illness, Housing, Alzheimer Disease, Ethnocultural considerations of aging, Senior Nutrition and Fitness, Caregiving and Long-term Care, Canada’s Health Care System, Estate Planning, End of Life Planning, Canada’s Income Security Programs and much much more. The information will help to make a difference in your personal life or business, and I look forward to regularly sharing with you about some of the interesting and important issues we face as we navigate the years ahead. There will be events and seminars taking place locally which I will keep you informed of, and pages on this site for your sharing and inter-acting with others in our community. I welcome your questions and concerns and would be pleased to serve you, your family, and your friends in a related capacity whenever I can. Please know that I care about you and your needs and as a professional I will provide the highest quality of services possible. I have completed a rigorous course of training in 2012 from "The Age-Friendly Business Academy(TM)" of which I am a past member. I understand the processes of aging and how these processes affect the health and social lives of seniors. My code of professional ethics is very high and I place my clients first in my dedication to their needs and concerns. Send me an email using my Contact Form to arrange a free consultation here in Campbell River, B.C. (Not available outside of this location at this time). Where up-dates come to you right off the presses of this Seniors and Boomers Site. didyouknowforseniors : Did You Know? volunteeringforseniors - Are you looking to be part of a great and important work in the community? "Seven questions you can ask and answer that can make a positive impact on your health, wealth, or happiness."